Colville-Andersen’s diagram fits London very well, illustrating how “THEY” want to provide cheap disconnected routes on backstreets and “WE” want safe and perceived-to-be-safe cycleways to provide commuter cyclist with the shortest and fastest cycle trips routes from A to B. London needs a metropolitan bicycle transport network asap. TfL should Copenhagenize London’s the TLRN (Transport for London Road Network. Copenhagenization means confiscating the warships of a defeated enemy, which is what the British did in 1807. Mikael Colville-Andersen uses ‘Copenhagenize’ to mean good cycle planning. I’ve been reading his book and wish the TfL board would read it too. 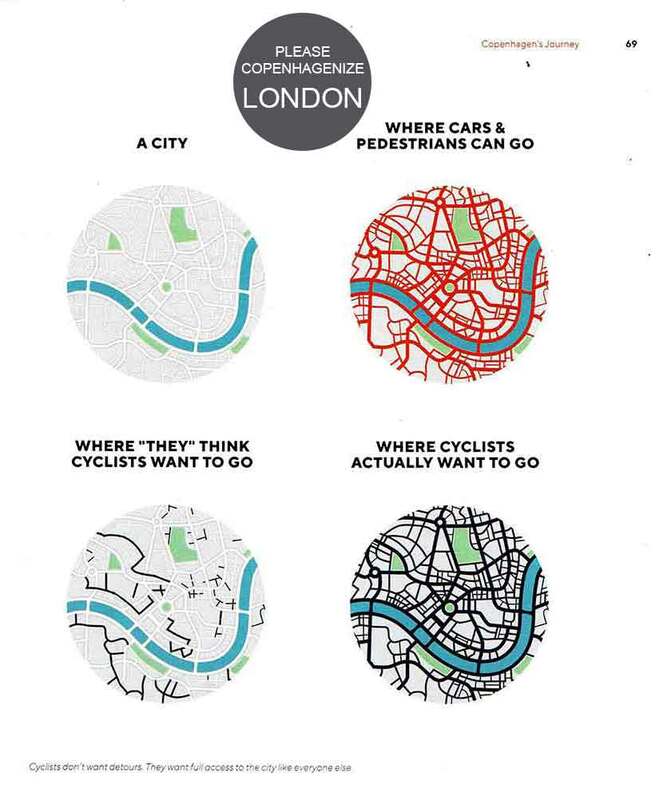 The left below diagram should be applied to London by converting the TLRN from ‘Red Routes’ to ‘Red and Green Routes’, as as TfL did to the Embankment Section of CS3. Putting segregated cycle paths in both directions would make it a Red-Green Network. 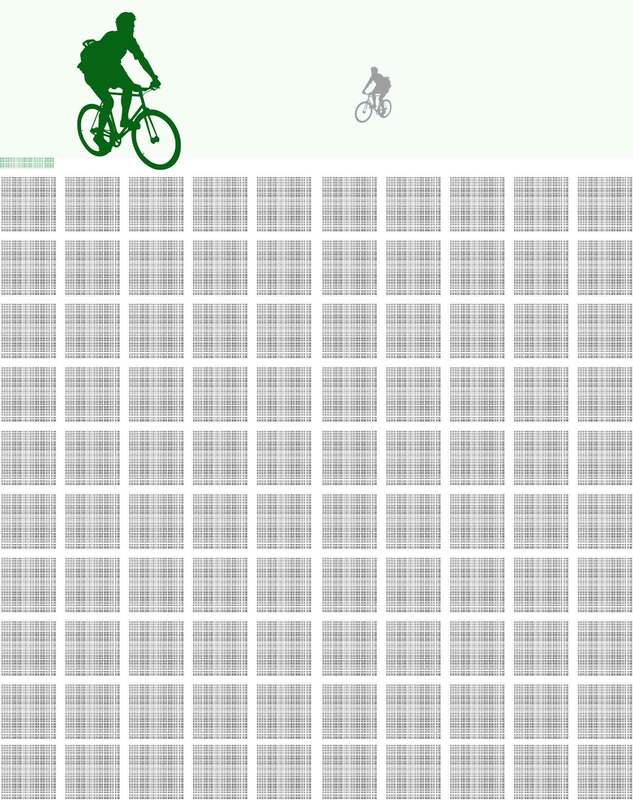 Costs, benefits and cost benefit ratios of Crossrail and a Londonwide Cycleway Network.